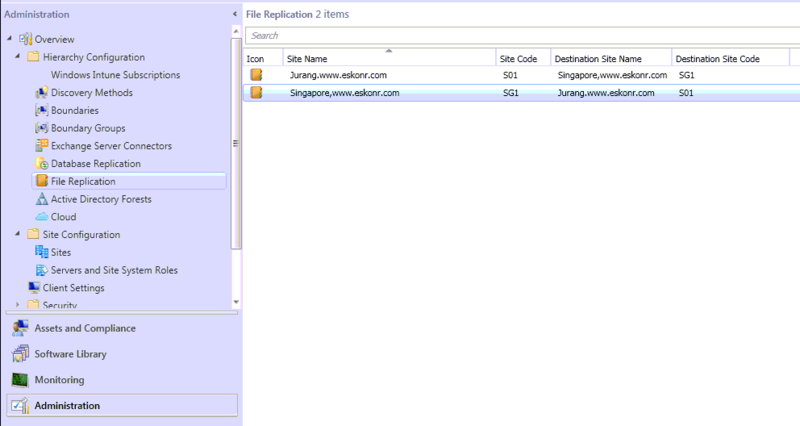 In SCCM 2012 SP1,each site communicates with its parent site and its direct child sites by using two data transfer methods: file-based replication and database replication unlike SCCM 2007. Note: Address is renamed to File replication in SCCM 2012 SP1 Beta. Secondary sites not only communicate to their parent primary sites by using both data transfer methods, but can also communicate with other secondary sites by using file-based replication to route content to remote network locations. File Based Replication happen with applications and packages that you want to deploy to distribution points in child sites, and unprocessed discovery data records that are transferred to parent sites where they are processed. Database replication uses SQL Server to transfer data and merge changes that are made in a site database with the information stored in the database at other sites in the hierarchy. 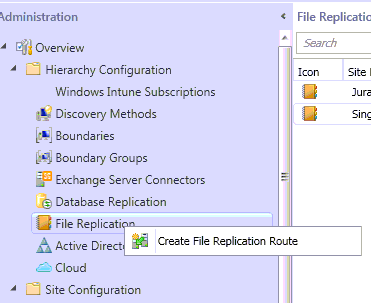 With the Release of SCCM 2012 SP1,we no more have addresses to configure the replication between the sites and this is renamed to file replication routes to bring consistency with database replication. How do you configure this ? 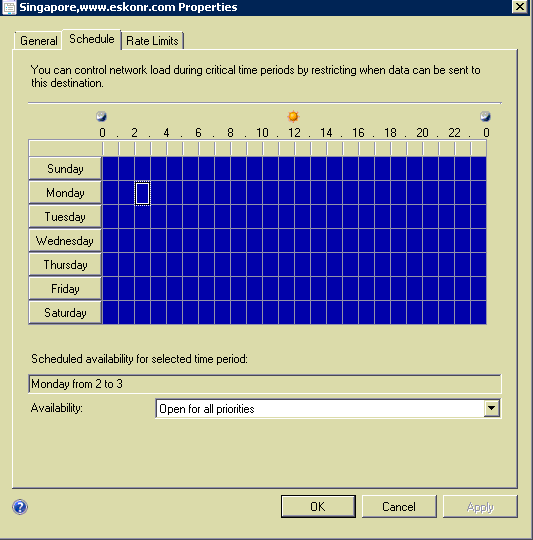 In SCCM 2007 we do by navigating to Primary Site—>Address Node—>Properties of Child site—>Schedule. 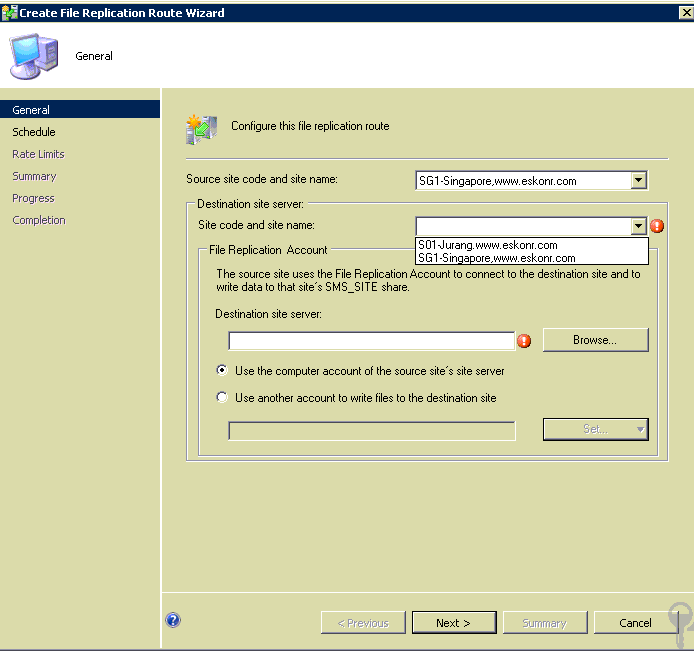 In SCCM 2012 SP1 Beta, This can be done from File Replication under administration Node. Right click either Primary or Secondary you want to control network Load .